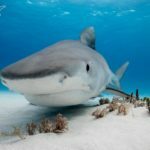 The Cape Eleuthera Institute’s Shark Research and Conservation program just published an interesting article detailing a single observation made in the Bahamas during one of their studies back in 2012. Few data are available on interspecific elasmobranch interactions during predation events. 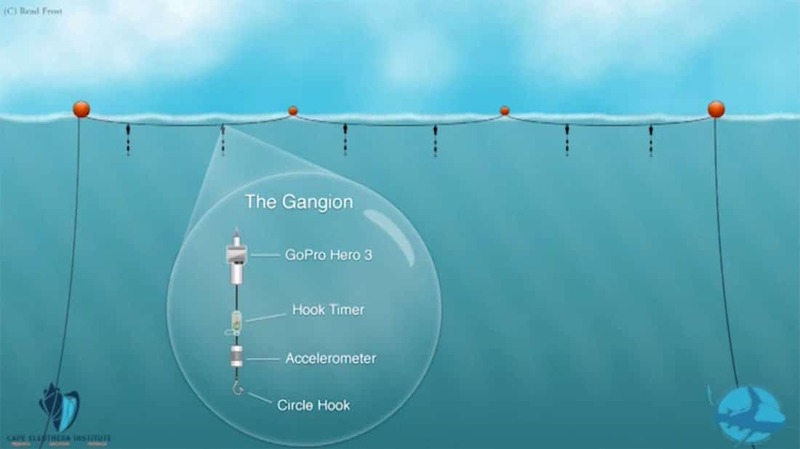 This report describes and discusses empirical data from a single event in which four sharks (species: Carcharhinus leucas, Galeocerdo cuvier, Sphyrna mokarran and Carcharhinus perezi) competed for foraging opportunities on a fifth shark (C. perezi) caught on an experimental longline. Analysis of video footage suggested competition was enforced without agonistic behaviour and access to the resource was not governed by size. The singularity of the data set and the artificiality of the situation limit the strength of the conclusions. The rarity of such an observation warrants, however, a published description of the event to provide an example of the behaviour of apex predator interactions in the field. 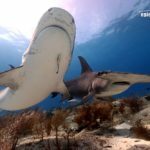 While the great hammerhead was the largest of the three sharks, it only investigated the feeding opportunity briefly and seemed to be run off by the bull shark. 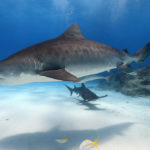 Once the tiger shark showed up, however, the bull shark – who was significantly larger – lost the opportunity to feed. The tiger shark seemed to dominate every interaction it had with the other species, despite it’s smaller size. The research group admits that complete interpretation of this single event, possibly swayed by the unnatural hooked condition of the reef shark, may be difficult. It does show, however, a very interesting interaction between species and offers a very rare insight into this behavior. Obviously, as the CEI group admits, replicating this to help better understand the interaction between species during predation would have some ethical issues.